Parking is never an issue at Grand Falls Casino & Golf Resort. Complimentary valet service is also available. Call 712-777-7777 x3330 for information about booking our private dining area. Expect greatness when it comes to dining at Grand Falls Casino & Golf Resort®. Enjoy a succulent steak or fresh seafood cooked to perfection in the quiet and elegant atmosphere of Ruthie’s Steak & Seafood. Something is always cooking at Grand Falls Casino & Golf Resort, and it’s all very, very good. Ruthie's at Grand Falls is located just minutes east of Sioux Falls, SD. Excellent dining experience! Quite, cozy, Elegant with excellent personal service. Outstanding Cuisine, the fillet mignon is to die for! This is definitely a hidden little gem that is a must if you’re visiting NW Iowa! This restaurant is a hidden gem. The food is great and the ambiance perfect for a night out with someone special. I highly recommend it. Disaster!!! Poor communication skills. Price wise, arm & a leg!!! Never go there again. Bad experience!!! Very poor service. The steak I ordered was not cooked as requested. I sent it back and it came back still under cooked. The sides we ordered were served cold. This was a very bad meal and I cannot provide a positive recommendation for the high price they charge. Great food and great service. Would most definitely recommend to everyone! Libby - we can't thank you enough for dining at Ruthie's. 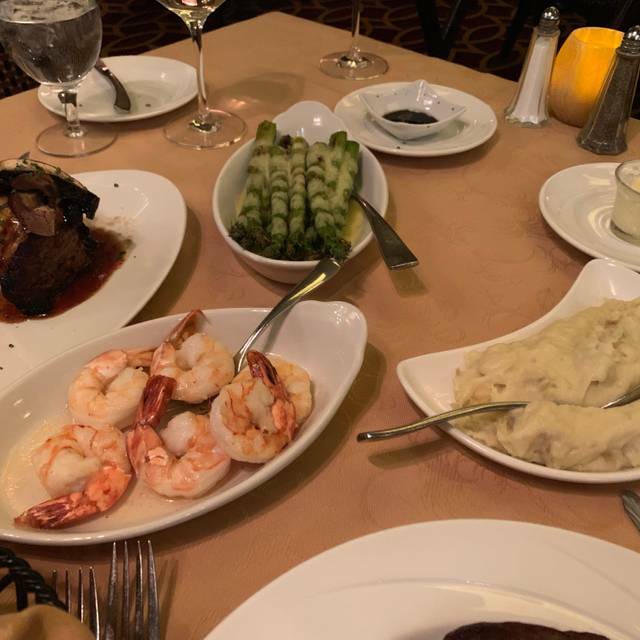 The next time you need a great meal, we'll be ready to serve you again! A little on the pricey side, but you get what you pay for. Great food, great atmosphere, perfect place for a special date or before seeing some entertainment at the casino. Mike - thank you for visiting and for attending the 38 Special concert in the Grand Falls Event Center. We'll see you next time for a great pre-concert dinner! I had steak and lobster. It was served room temperature. The food was very good but some of the items were not very hot. Great dinner overall, the staff was very friendly and helpful. Would recommend Ruthie's to anyone looking for a nice dinner while visiting the casino or the Sioux Falls area.